Dr. Despain has worked on the Synar project and evaluation of Wyoming’s tobacco prevention and control program since 2007. His primary duties have included supervisory responsibilities of the Synar inspections and coverage studies, assistance in evaluating the Wyoming Quit Tobacco Program, reporting of findings from the Adult Tobacco Survey (ATS), and preparation of topical issue briefs and fact sheets to communicate data about key tobacco prevention and control issues to lay audiences. 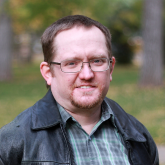 He also works on the evaluation of Wyoming’s Chronic Disease Prevention Program and has evaluated projects for the University of Wyoming’s School of Nursing. 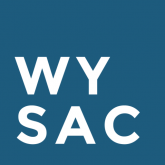 Synar and Tobacco Prevention Evaluation in Wyoming: Making Synar Part of the Big Picture. 2016 National Synar Workshop. How do Youth Access Initiatives Affect Tobacco Prevalence Rates? And Who Sells? Research on which Merchants Are more Likely to Sell to Youth. 2014 National Synar Workshop. Predictors of Noncompliance with Youth Tobacco Access Laws. 2011 National Synar Workshop. Putting a Statistical Model in Context: Making Sense of Unexpected Evaluation Findings in the Absence of Formal Research. 2015 Convention of the American Evaluation Association. Sustaining the Morale and Size of a Shrinking Team: When “I Will Work Harder” Is Not Enough. 2014 Convention of the American Evaluation Association. Data in the Eyes of Many Beholders: Reporting Politically-Charged and Controversial Data without Damaging Your Clients’ Interests. 2012 Convention of the American Evaluation Association. Effectively Communicating Evaluation Results: Creative, Innovative, and Technological Ways to Share Evaluation Findings. 2011 Convention of the American Evaluation Association. The Context of Collecting Data: How to Work with Non-Researchers to Collect Quality Data. 2009 Convention of the American Evaluation Association.